RIO DE JANEIRO– Brazilian Health Minister Alexandre Padilha Wednesday signed an agreement with the Pan-American Health Organization (PAHO) to hire 4,000 Cuban physicians to work in Brazil. The first group of 400 doctors will arrive in Brazil in the next few days, and will be eventually stationed in towns which are participating in the local government’s More Doctors program. The rest of the 4,000 Cuban doctors are expected to arrive in Brazil by November this year, according to the agreement. The program aims at attracting professionals from urban areas to rural and remote regions in Brazil. The Cuban professionals will be sent to 701 municipalities of Brazil, most of which are in the less-developed northern and northeastern regions. Under the agreement, the Cuban government will receive 10,000 reais (4,081 U.S. dollars) per month for each of the 4000 doctors, the same amount paid to Brazilian and other foreign professionals who signed up for the More Doctors program. The Cuban doctors will also receive housing and food allowances, the same benefits offered to local physicians as well. However, every doctor in the program, including the locals and the Cuban newcomers, will undergo a three-week long evaluation in Brazilian federal universities and only those who pass the evaluation will be admitted in the program. HAVANA, Cuba-Thunderous applause from newly graduated Cuban and foreign doctors greeted congratulatory remarks from Dr Jorge González, Rector of the Medical University of Havana, at commencement ceremonies in Cuba’s capital. The Lázaro Peña Theater was filled to capacity with 1,221 graduates, their family, friends, professors and representatives from the Ministries of Public Health and Higher Education celebrating the milestone in Cuban medical education. Among those receiving diplomas were foreign graduates of Havana’s Latin American Medical School (ELAM). They represented one tenth of the over 10,000 new MDs graduated this July throughout the country, including Cubans and international physicians. In total, 5,683 Cuban and 4,843 foreign doctors graduated in this year’s commencement across the country, where graduation ceremonies were held at all Cuban medical universities this week. Since 1997, MEDICC’s mission has been to promote cooperation among the US, Cuban and global health communities to improve health outcomes and equity, offering the Cuban experience to inform global debate, policies and practice. MEDICC produced the feature length film ¡Salud! and publishes the MEDLINE-indexed MEDICC Review, the only peer-reviewed journal on Cuban health and medicine. MEDICC also supports research in Cuba by US health professionals, and its Community Partnerships for Health Equity are improving health care and access in South Los Angeles and Oakland, California; Albuquerque, New Mexico; and the Bronx, New York. Founded in 1997, Medical Education Cooperation with Cuba (MEDICC) is a non-profit organization working to enhance cooperation among the US, Cuban and global health communities aimed at better health outcomes and equity. We see that health care especially for underserved populations – can be informed by Cuba’s singular universal health system and its evolving health policies, practice, research and education. We also see that the US and other nations’ experience in medicine and medical research can inform practice in Cuba and the developing world. Above all, we believe that such cooperation is urgently needed to radically improve global health and achieve the birthright of health for all worldwide. Visit Cuba with MEDICC, to get an exciting, profound, and analytical look at health care on the Island, with ample chance to meet the health professionals responsible for achieving its impressive outcomes and for tackling its many challenges. Community Partnerships for Health Equity Supporting action-oriented research in Cuba by community health leaders, academics and health care providers to improve health outcomes in US communities. Medical Literature for Cuban Professionals, providing Internet access to 6,000 online journals and other current international literature for 260,000 health professionals, faculty and students in Cuba to help improve patient care, teaching and research. 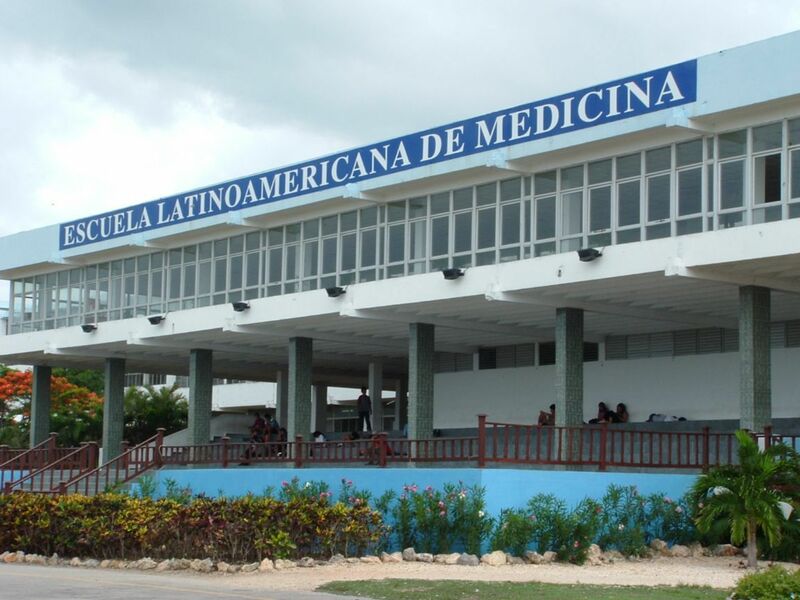 Latin American Medical School, supporting Cuban-trained medical students and graduates to improve medical services and health equity in their countries: Haiti, Honduras, South Africa and elsewhere. ELAM: Support for US Students & Grads, speeding the way for the diverse and committed US graduates of Havana’s Latin American Medical School to practice in US underserved communities. Equitable Health Care in Haiti, partnering with Global Links and the Pan American Health Organization to send vital supplies to public hospitals and health centers where Haitian and other graduates of the Latin American Medical School are working to bring sustainable health care to all in Haiti. Hurricane Relief for Santiago, Cuba, a special appeal for donations to send critical medical supplies to the one million people of Santiago de Cuba and neighboring provinces stricken by Hurricane Sandy. In partnership with Global Links, and aided by the Pan American Health Organization (PAHO). Cuba has the lowest HIV rate in the Americas. Save the Children ranks Cuba as the #1 developing country to be a mother—before Israel, Brazil, Turkey and 75 others. The leading causes of death are the same for the USA and Cuba (heart disease, cancer, chronic lower respiratory diseases, stroke, and unintentional injury). Doctor-to-patient ratio in Cuba is among the world’s highest; 59% of physicians are women. Cuba has the lowest infant mortality rate in the hemisphere: a child born in the eastern mountains of Cuba has a better chance of survival than a newborn in Washington DC. A woman born in Maryland, USA has the same life expectancy as a woman born in Matanzas province in central Cuba. Cuba is among the top 20 countries in progress towards the UN Millennium Development Goals.